Carpets are dust and dirt magnets. When someone at home has allergies or asthma, it is best for the maid to pay more attention in vacuuming the carpets at home. Vacuuming also prolongs the lifespan of our rugs and carpets. We only need to maintain its cleanliness to avoid always buying new ones! Eden Grace Maids Agency wants to share with you these few tips on how to properly vacuum carpets which our Filipino or Indonesian maids may find helpful. It’s a golden rule to always clean on the ceiling before proceeding to the floor. We don’t like cobwebs and dust from the ceiling to gather on the floor we just cleaned, do we? The same method goes for our tall furniture and book shelves. – Ask the maid to shake the curtains before vacuuming on the carpet since dust and dander also collects in it. A great vacuum for the carpet is something with a great filter and is sealed well. 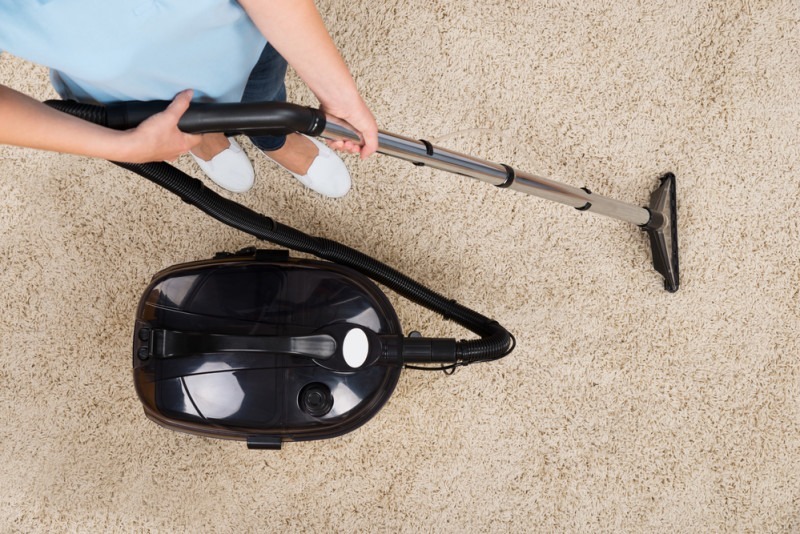 Low-grade vacuums can spit back dirt to the carpet instead of cleaning it. When shopping for a new vacuum cleaner, always be meticulous and don’t be quick to buy the cheapest ones! 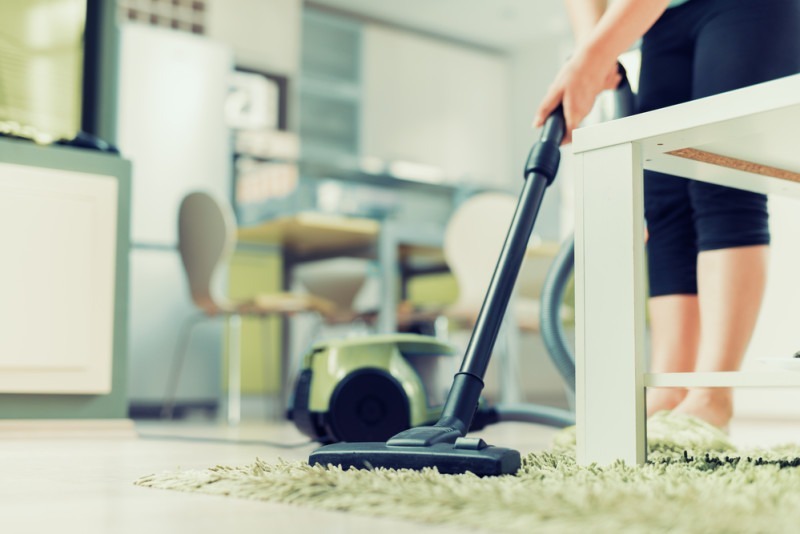 A typical vacuum with a bag that already carries dirt more than half of its capacity can lose up to 80% of its vacuuming performance. – We must keep the maid reminded to empty the canister before cleaning the carpet. – The vacuum itself should also be wiped well and cleaned before the carpet dusting off process. – Always put in mind: The cleaner vacuum, the better the suction! The maid isn’t using the vacuum’s maximum potential if she doesn’t pull the vacuum back after running it over the carpet. – The maid may push the vacuum at whatever speed, but remind her to pull the vacuum back slowly to herself. – When she pulls back, that is when the brush is doing the most work, pulling the icky stuff out of the carpet. Everyone thinks the carpet becomes perfectly clean in just one run but vacuum manufacturers recommend going over the same spot for at least twice. The maid has to run the vacuum again on same spot to ensure a dust-free carpet! The schedule of cleaning depends on the employer and the maid’s choice. However, ideal cleaning on high traffic areas is at least twice a week and the low traffic areas is at least once a week. The maid needs to frequently vacuum the carpet to prolong its good quality. With these tips, we hope you maintain a dust-free carpet at home! Consider hiring a maid to maintain a tidy household environment. Eden Grace Maids Agency offers manpower help that can carry out your family’s daily organizing and household chores routines. You wouldn’t have to worry about your household chores when you have someone trained and taught to take care of your household burdens.